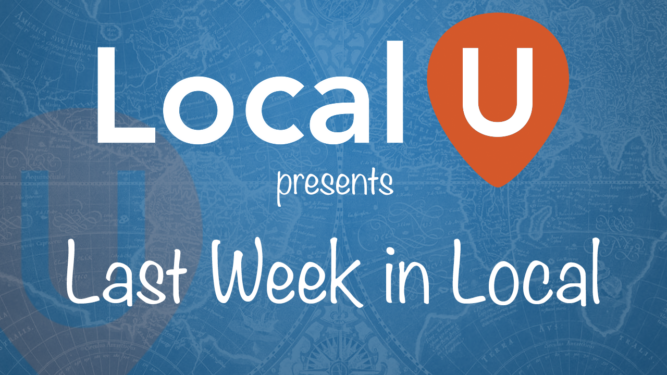 Join Local U for the latest public episode of Last Week in Local, a weekly conversation about the articles that attracted our attention during the past week ending June 19th, 2017. This week featuring Mary Bowling and Mike Blumenthal. If you have a special topic you would like us to discuss for our other weekly feature, the Deep Dive in Local, or if you would like to be on one or the other of our segments, reach out and send us the topic and your availability. If you are interested in sponsoring this weekly show also please let us know. “I saw Walmart acquire Jet and then ModCloth, and, I thought, they get the future of e-commerce is brands,” . Walmart is stepping upscale on this for sure. If you haven’t noticed Amazon and Walmart are going mano-a-mano in retail. In the end, due to their benefits of scale we may just end up with only two general retailers left. Sayonara Sears, Kmart and host of others. A great example of local marketing done right! Robert's Pizza of Brooklyn hits it out of the park with a simple, hand drawn instruction sheet on how to rewarm pizza. Leveraging business specific knowledge in an honest and straight forward way to achieve widespread recognition. I am ambivalent about using AMP in most local use cases as Google is already hosting and showing a ton of your data and limiting website visits. But you can test it and see with this instruction set. It is one of the largest gamefication efforts of all time to get local data. And amazingly it seems to work. Categories, rich snippet schema guidance, Insights inights and lots more in this monthly update of Joy's monumental guide to Google local. Trends and tactics for the local business. Shows you what you get from some of the popular ones, like The Hoth, and what to look for when shopping for link building services. What people outside our industry see in the media about SEO. This one actually has good advice and you might find it useful in communicating with prospects and clients. Two way data sharing between Yext and these partners to make Yext's data better. Video Deep Dive: Should you add CITY to your local business name on Google?